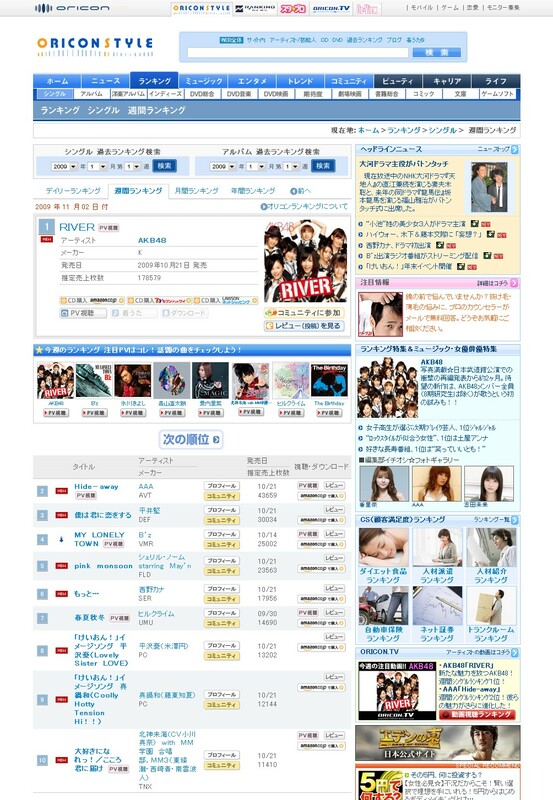 It is not a surprise or special for me that again AKB48 hit the #1 oricon weekly with 179K sales. The one that make me surprisingly happy is that mana and her gang made it in the safe place in #10! This is a new record that they manage to that place against such a huge name (and size). I just realized that both of ’em released at same day! Well, i don’t know too much about AKB and won’t know farther about them. Mana was even more amazing in this single, both her voice and appearance in “Daisuki ni nare”‘s PV. I think she born as a soloist, since she got too many solo line in any canary’s songs. After two consecutive single for anime “Gokujou! Mecha Motte Iinchou” she only act as model and din’t get a line at all, now she lift NGP to the surface again. It remembered me when last year she release her debut single “Suppin Rock” was released with Aya Hirano’s “Namida Namida Namida”. But that’s a different story because both of them were at the same anime “Hyakko”. This time she really compete with a big name in japan music industries. As one of NGP’s ace sure she can prove that she is really an ace that worth. May the force be with her and she choose the Diva career path. Mecha Motte! Summer: Whorty!~ My Second Betrayal from Buono? Okay, maybe this ‘ll be my second time i betray Buono! Last year, i decided to deny Rottara-Rottara single due to my dislike to its PV. I totally unaware about Buono’s new coming single “Take it Easy”. Why? Because it become too animeish and kicked out a lot Buono’s “ROCKISH” image. Animeish is fine i like it too, i like both of shugo chara egg! singles, i like all athena & robikerots release, i love milkyway song so much, and maybe some of koha’s singles. But please, don’t make Buono become ‘too usual’ anime group! Last year i switched my rottara rottara Limited & Single V orders to Ogawa Mana’s single limited edition. In my opinion her single is the winner with overall point both the music and video, even rottara-rottara is still the winner in music -only. This time, the one who probably cause my betrayal is still the same person. Yes, she is ogamana. She is not alone this time. Yes, MM Gakuen Gashoubu are like the whole NGP girls joined together like AKB’s full team together. More people = more power, maybe this time that words work on them. Classical touch in this music is awesome. 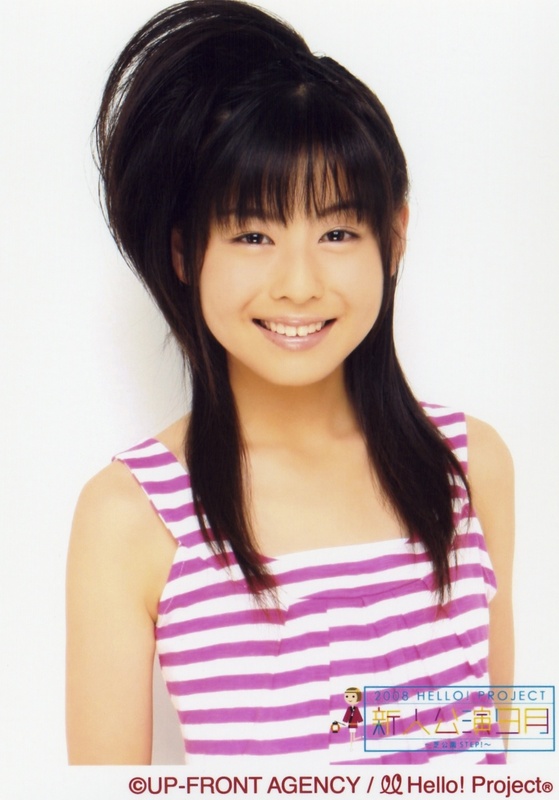 I like classical music, and i like another H!P song with the same touch before. Yes the music is catchy and fun. I don’t know if it was just coincidence or not, but both “MM! Summer” and “Take it Easy” anime side ending video has same theme, summer. But, once again “MM! Summer” is the winner in corelation between song and the video. At least this time, we haven’t seen any preview from “Take it Easy” yet. Mecha Motte! Summer from gokujou mecha mote iinchou ed. Ogamana will be the main character in their video. And we’ll see another cute TNX girls in close up. I still don’t memorize every TNX girls, but i think i’ll try to memorize each of their name first. At least its preview looks very promising and i think we’ll see the full version of this PV in 2-4 days later, because we already have the full preview of this song. 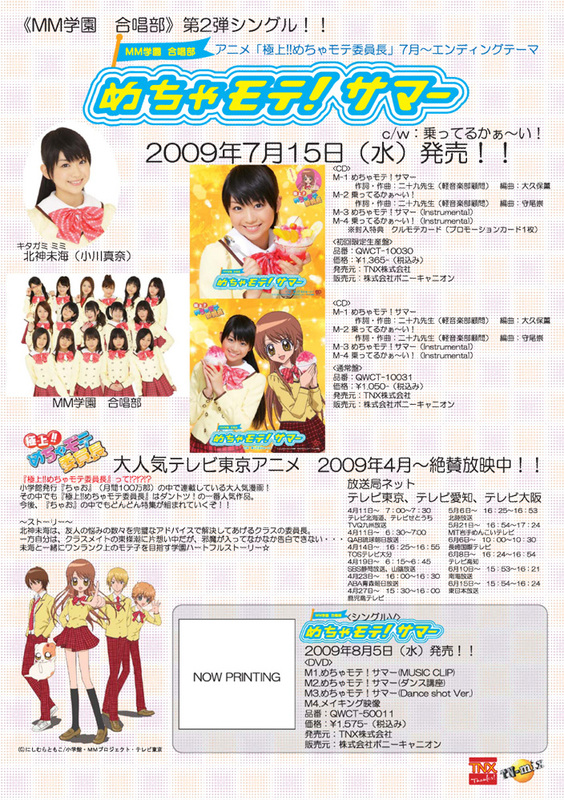 MM gakuen gasshoubu: Tsunku ver of AKB48? For your information this group 2nd single will out in 15 July. You can see its flyer below. Okay, i never found its PV concept in any other H!P PV (CMIIW) and only found this kind of concept in AKB48’s PV (so far in my very poor collection of AKB48). Well, can i say this “Anime” group from TNX as Tsunku ver of AKB48? I guess i can, lol.